Arizona based, globally experienced. Creative shooter, strong lighting skills. Well experienced in broadcast, corporate, documentary and full service video production. Experience includes ENG of Arizona landscapes as well as hand held and hard camera on national news, corporate, ballroom, entertainment, professional sports and political events. Right on target. 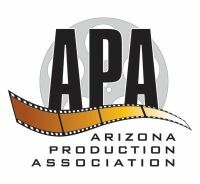 Working Arizona's film market for over 30 years. Features, shorts, commercials. Sony F55 4K cinema camera owner/operator. Also have access to many other cameras, including Arri Alexa and Red cameras. Also own a 3-ton grip truck & 30' Jimmy Jib. Working as a camera operator since 2013 with the ability to shoot several types of projects from short films and music videos to corporate videos and live events. Comfortable using own equipment or equipment provided, just want to camera operate and create success for myself, client, and project. Suns, Diamondbacks, Coyotes, Corporate, Cox Studios, Commercials, Ballrooom events. 12 years experience operating hand held, hard & JIB cameras. I also own my own drone to do work. Events include Super Bowls, College National Football Championships & Playoffs, NBA All Star Game, MLB All Star Game, Full NBA & NHL Seasons, Redbull Aerial Shows, Gold Events as well as national and locally televised events. Over 19 years Video Production Experience for Television, Corporate & Industrial. ENG & Studio, & Robotic. Steadicam Owner/Operator. Video Engineer, Technical Director. ScreenPro II HD Owner/Operator. 10 Olympics, Super Bowls, World Series, NBA Finals, US Opens, PGA, Buick Invitational, Antiques Roadshow, remote recordings. 27+ years - Live Remotes, Hard Camera, ENG, EFP, Network experience: NBC, ABC, FOX, NFL, NBA, NHL, MLB, LFB, CBB. 40+ years working news, sports, entertainment, conventions and corporate events. Award-winning cinematographer with international documentary, commercial and feature film experience. Alexa Mini Package owner/operator with 1-Ton G&E package. Travel worldwide. Suns, Cardinals, Diamondbacks, ASU, UofA, ESPN Gameday and many other live sports broadcasts. 24 yrs shooting handheld, hard & ENG cameras. I shoot live action, sports, industrials & concerts. Clients: Microsoft, Democratic Convention, CNN - McCain's Concession Speech, World Series, Superbowl, MLB, NHL, Tennis, Pac12, WNBA, MDA Telethons. 30 years of experience as a handheld and hard camera operator for live or pre-recorded telecast. I work for networks such as CBS Sports working PGA golf events like The Masters and NFL football games. My local work includes broadcasting Phoenix Suns, Arizona Coyotes, Arizona Cardinals and Arizona Diamondbacks games. Anthony Miles is a Telly Award Winning Cinematographer/Videographer. Commercials, Corporate, Documentary and Narrative. Anthony is also an accomplished editor and strives to create great footage for the editing process. Owns 2 camera packages, Sony PMW EX1 and film style A7sII for 4k. Complete portable lighting and audio package. 30 years exp. News - ENG, Production - reality, corporate, live professional sports, studio, from the Super Bowl to Oprah. DP/Camera Op/AC. c300mkII owner/op. I work locally in LA, NY, Phoenix, Vegas, and San Diego, depending on the time of year. Kaard has shot and produced content for clients such as Engadget, Curbed, The Weather Channel, Arizona State University, Disney, Amazon, Pantene, and Persil. Network credits include ESPN, Fox Sports, MLB Network, and NBC. 20 years of live sports television, studio and corporate experience. I have worked thousand of games from MLB, NFL, NBA, NHL, including Super Bowls, All-Star games and Winter Olympics. If you need a long lens, sports shooter, hard camera operator then look no further as I have done it all at the highest level.